We launched our first ever Market Fund in January 2015 and have now awarded £15,000-worth of grants to people who want to make a difference to Levenshulme high street or to residents who want start or develop their own retail businesses. The Fund was assessed in 2017 as part of our independent social value assessment and a report on it can be read here. 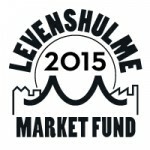 Levenshulme Market was formed as a social enterprise because we firmly believe that a market alone cannot make our high street great again – to do that will take determination, investment and ideas from entrepreneurial residents, as well as collaboration from the whole community. The fund was created using the profits we have generated since we started operating in 2013 – our revenue comes from stall holders’ pitch fees, which are, in turn, funded by shoppers from our community so it was very important to us that the money generated went back into our community. When we were founded in 2013 we gave ourselves a specific remit to help make Levenshulme a better place for retailers and to provide more opportunities for residents of Levenshulme to start or develop their own businesses. Guidelines given to residents who decided who should be funded via a public voting event.